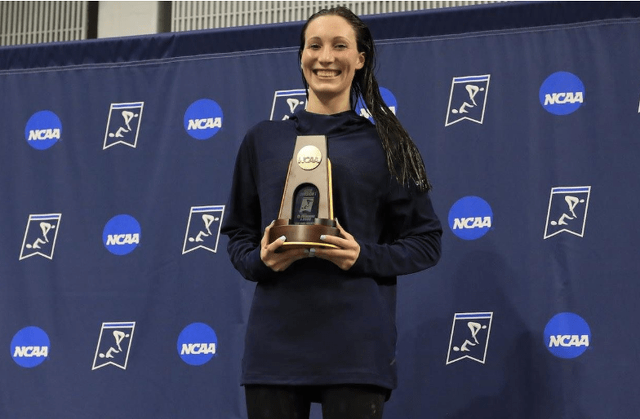 McHugh, who won a U.S. national title over the summer in the 400-meter individual medley, had a previous best finish of second place at last year’sNCAA Championships — serving as the runner-up the 1,650-yard freestyle event to none other than five-time Olympic gold medalist Katie Ledecky. In the 400-yard individual medley at the NCAA Championships on Friday night, McHugh also set a school record, but finished in 10th place. She also took part in the 500-yard freestyle, finishing in 18th. The only other Nittany Lion at the championships was Maddie Hart, who took 25th in both the 100- and 200-yard butterfly preliminaries.